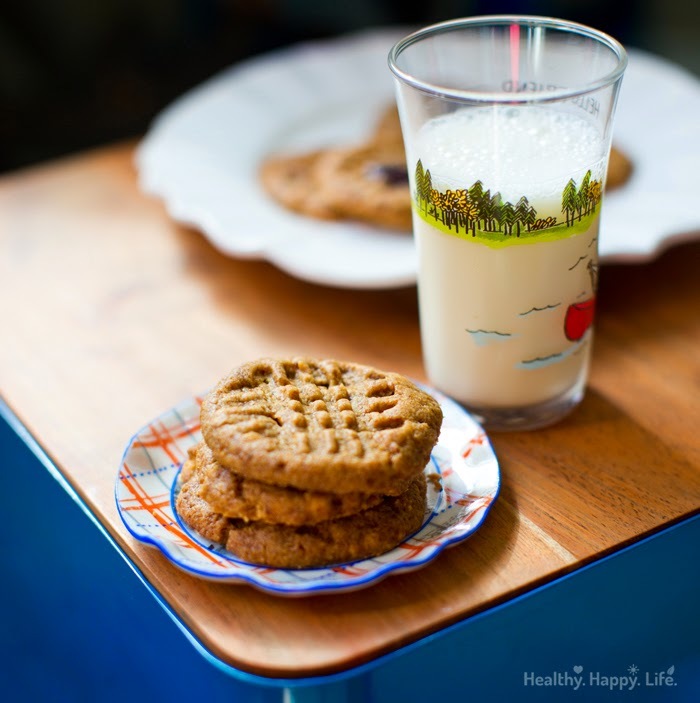 4-Ingredient Peanut Butter Cookies. 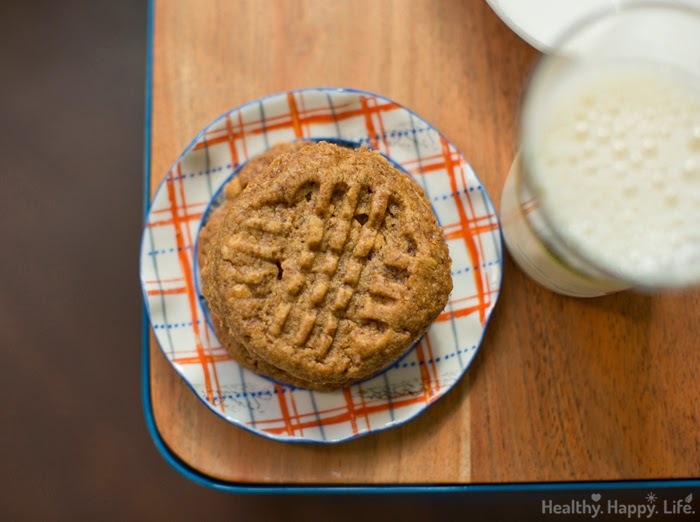 Gluten-Free + Vegan Treat. 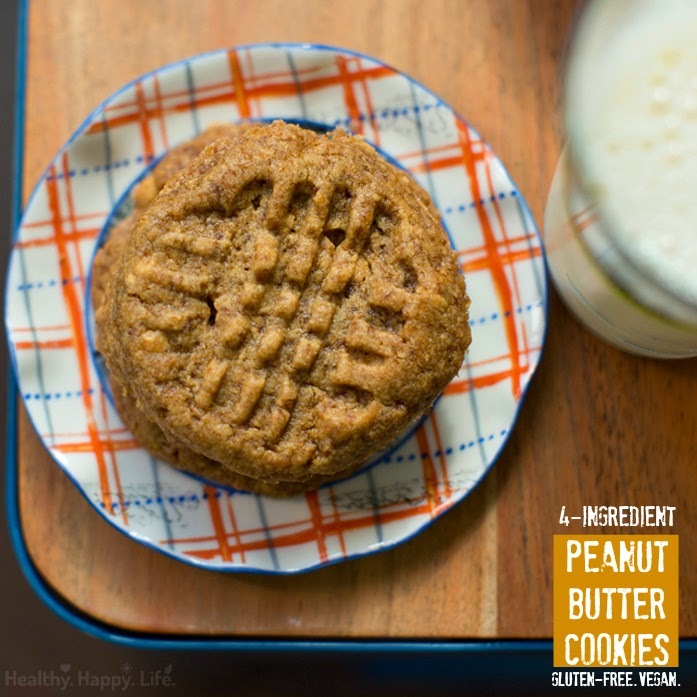 These simple 4-Ingredient Peanut Butter Cookies bake up moist and chewy with loads of nutty flavor in each nibble. 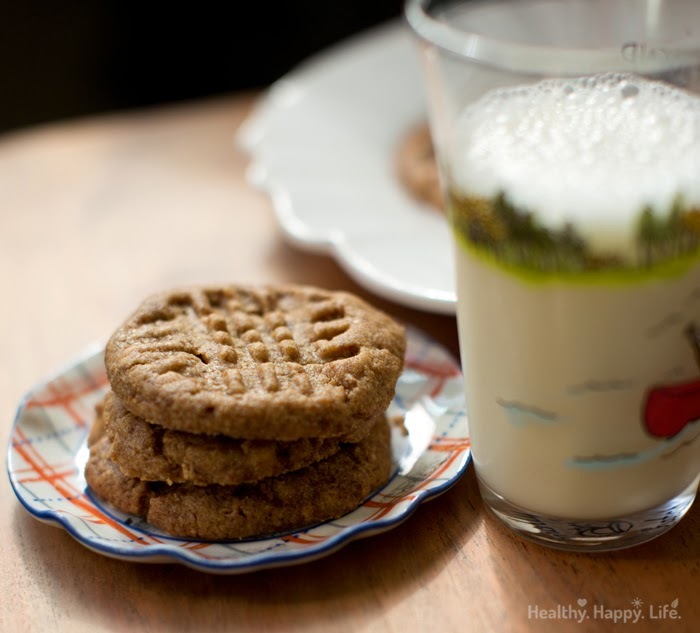 Pair one warm cookie with a glass of chilled non-dairy milk for a blissful sweet treat experience. 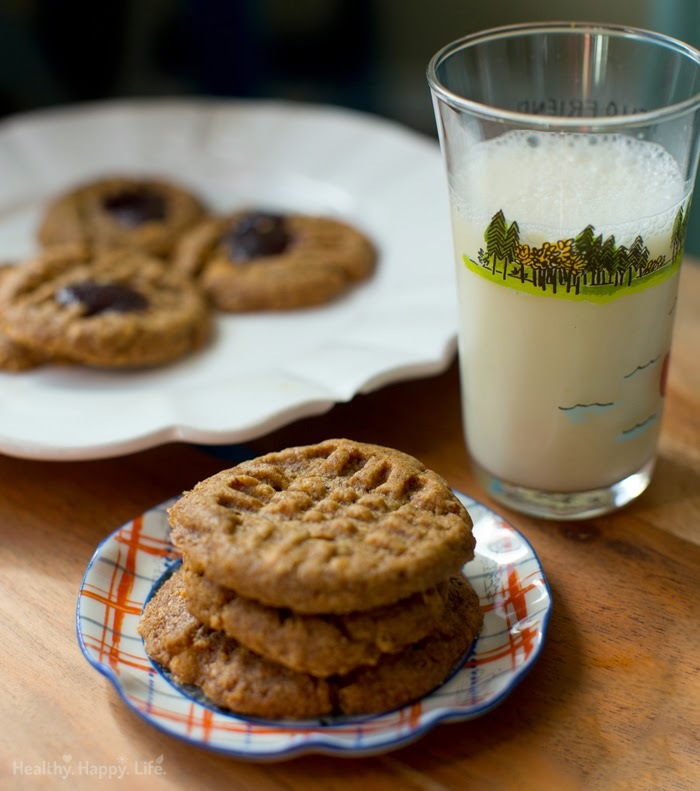 Grab the recipe and chat a bit about coconut sugar..
PB&J Option: Add a dollop of your fave jam to the center of each cookie before baking for a PB&J spin on these cookies. I like to use apricot or strawberry jam. The mashed banana boosts the texture a bit and acts as a subtle egg replacer. These are not fluffy cookies, but rather, soft and chewy. I highly advise you stick the dough in the fridge for at least twenty minutes before rolling the dough into balls, since the freshly blended dough is quite soft. "Coconut sugar, more accurately coconut palm sugar, is made from sap of the coconut palm that has been extracted and then boiled and dehydrated. It provides the same number of calories and carbohydrates as regular cane sugar (about 15 calories and four grams of carbohydrate per teaspoon) so you wouldn't be gaining any advantage in these respects by making a switch. However, coconut sugar is 70 to 79 percent sucrose and only three percent to nine percent each of fructose and glucose. This is an advantage, because you want to keep your consumption of fructose as low as possible, and cane sugar is 50 percent fructose. Coconut sugar is caramel colored with a taste that is similar to that of brown sugar and can be substituted for cane sugar in most recipes." 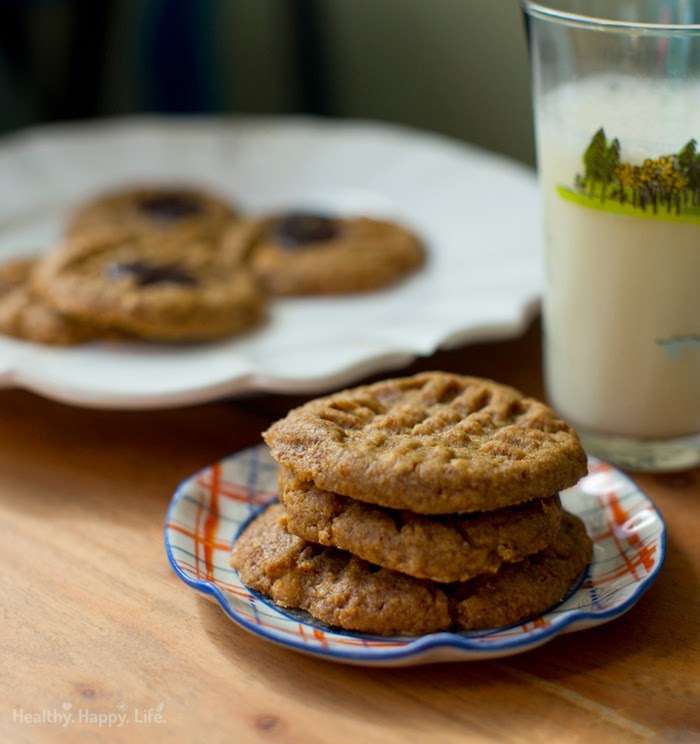 - DrWeil, Is Coconut Sugar a Healthier Sweetener? 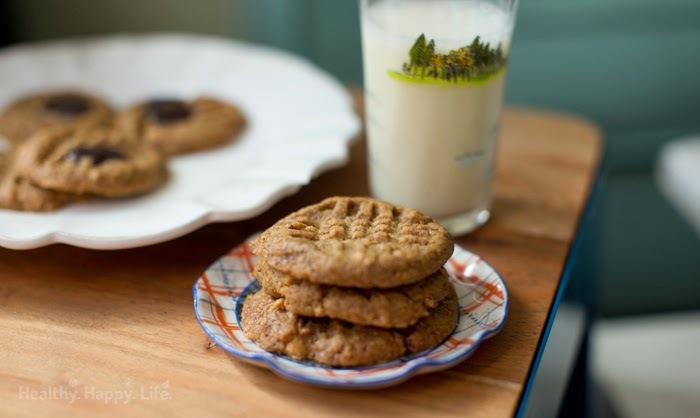 Chewy and sweet peanut butter cookies that are vegan, gluten-free and sweetened with organic coconut sugar. optional: chocolate chips would be a nice add in too! Make sure the nut butter is soft and stirred well. Add it to a large mixing bowl. Fold in the sugar and mashed banana. Add in optional spices. Lastly, fold in the flour. Once combined, the dough will be on the soft side, kind of like a soft playdoh texture. You can either glob the dough right onto the baking sheets for oddly shaped cookies, or (advised) place dough in the fridge for at least 20 minutes to chill. Upon chilling the dough, you can roll it into balls and use a fork to create nice patted down patterns on top. Bake at 350 degrees for 15 minutes. Cool. Serve warm or place in fridge to chill. Delicious served cool or warm. Eat in the next few days, or freeze.